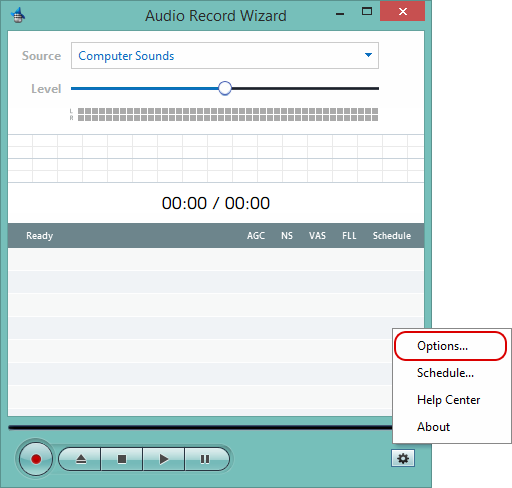 Since Audio Record Wizard will record sounds directly into files, so it will ask for a file name before recording. 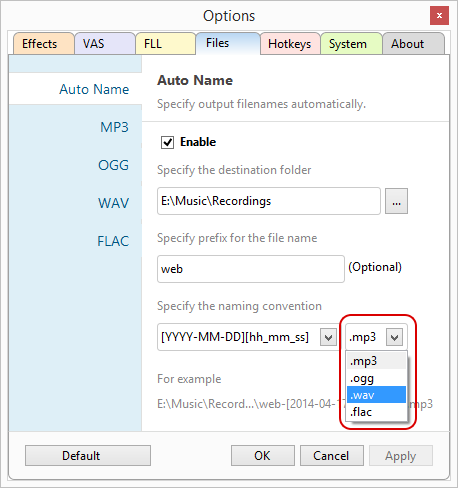 If you would like to record as .wav (.ogg .flac .mp3), just give a .wav (.ogg .flac .mp3) file name. 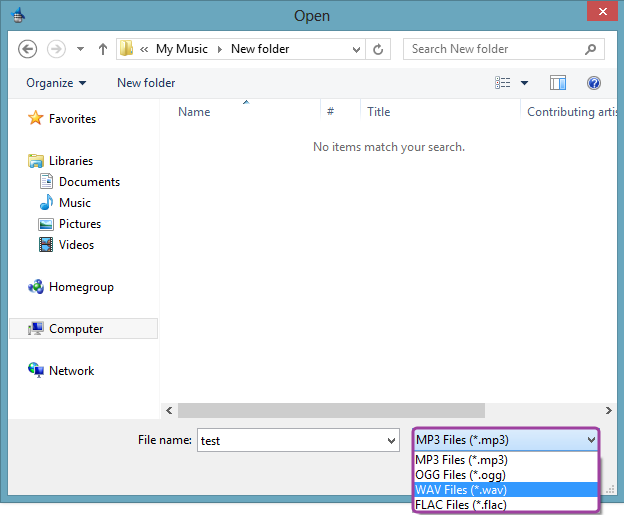 Click the Add/New Button to add/open an audio file. Type in an appropriate name. If you have enabled Auto-Name, select the appropriate ext name here.